What are the benefits of advertising on sportinggun.co.uk? 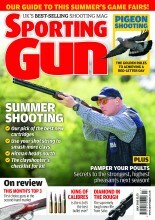 Where on sportinggun.co.uk.co.uk can I advertise? How do I design and advert, what do I need to supply? How can I book my advert? What are the benefits of advertising on sportinggun.co.uk.co.uk? – It is a quick and easy way to get passionate shooters to visit your website. – Run of site adverts can appear on any page within the site, be it the home page, news page, forum or gun tests etc. This option means that your advert will be seen by any of our users regardless of their interest. – Trade directory adverts can appear in any individual category of the ShootingUK Online Trade Directory. – All our run of site, and premium pages can host a banner, button or mpu style advert. – Adverts in our trade directory can be either a banner or a large button. – Or you can take advantage of our free advert design service. Speak to one of our sales team who can talk you through the simple process of producing one of our standard format banner or buttons. – Cost per thousand options are charged according to the number of page views your advert receives. This literally means that you pay for the number of times your advert is seen by Sporting Gun online users. How Can I book my advert? Call our sales team now!!!!!!! REMEMBER: When emailing the sales team please include your full name, address & telephone number!